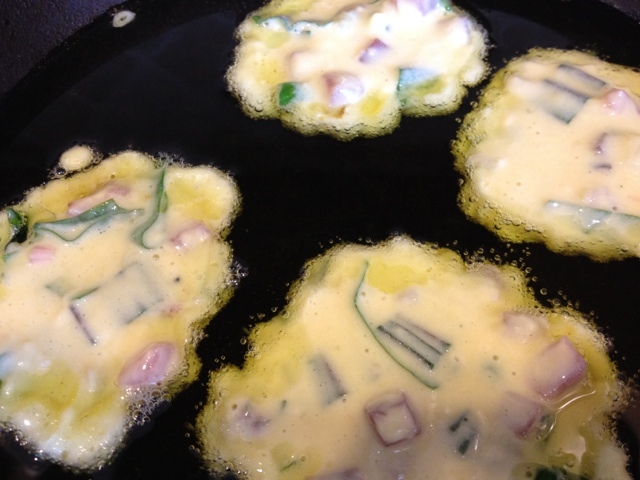 Prior to reading Barbara Kingsolver’s Animal, Vegetable, Miracle, I had never heard of ramps. How exciting was it then to see Appalachian ramps at Whole Foods Market? They are also called wild leeks, spring onions, and wild garlic. 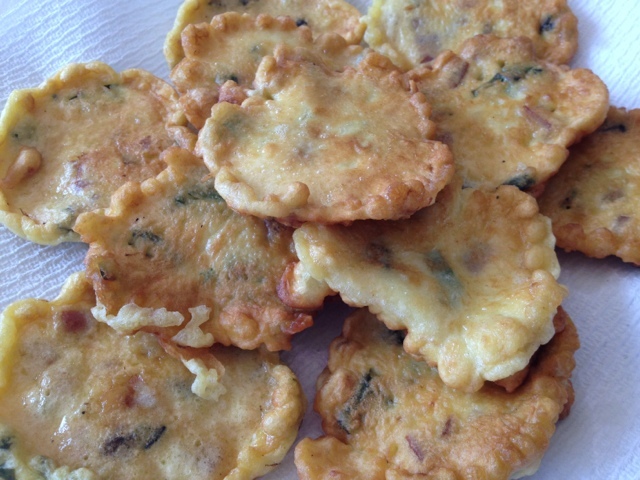 This recipe is a modification of a Portuguese recipe my mother-in-law showed me called “iscas.” They are puffy, light, crispy, and melt in your mouth. Whisk the eggs, milk, salt, and pepper. Mix in flour. Stir in presunto and ramps. The batter should have the consistency of a traditional pancake. Heat a skillet on the stovetop to medium low. Add olive oil in a thin to medium layer at the bottom, depending on your preference. Drop heaping tablespoons full of the batter and cook until golden brown on both sides, flipping once. 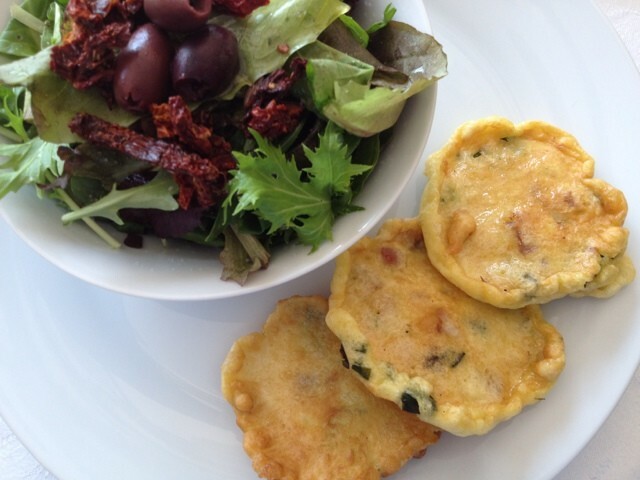 A perfect lunch alongside a salad of local spring greens, local sun-dried tomatoes, and not-at-all local olives. What portuguese meal is complete without the latter? !